A Jew is asked to take a leap of action rather than a leap of thought. He is asked to surpass his needs, to do more than he understands in order to understand more than he does. . . Rabbi Heschel is well known in the Jewish world for his contribution to Jewish thought through his many books, articles, and the many students he inspired through his years of teaching. However, he might be more well known to the world through the actions he took, or more specifically, the steps he took with Dr. Martin Luther King Jr. in Selma, Alabama. Upon his return, he famously said: 'For many of us the march from Selma to Montgomery was about protest and prayer. Legs are not lips and walking is not kneeling. And yet our legs uttered songs. Even without words, our march was worship. 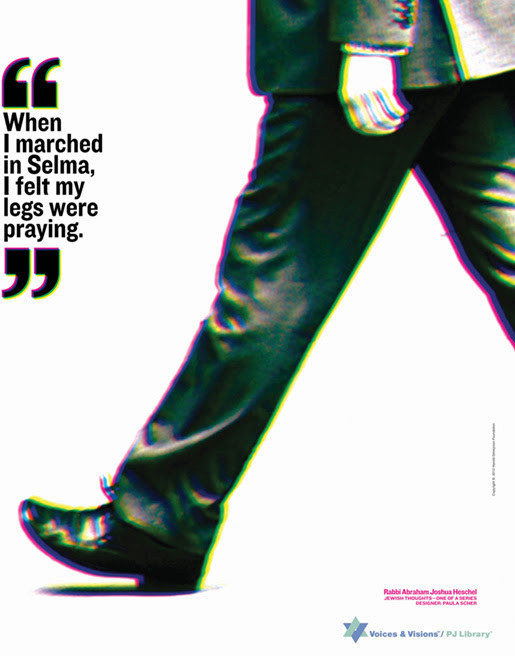 I felt my legs were praying.' Learning about justice in the world was not enough for Rabbi Heschel; he had to bring that justice to the world through his actions. 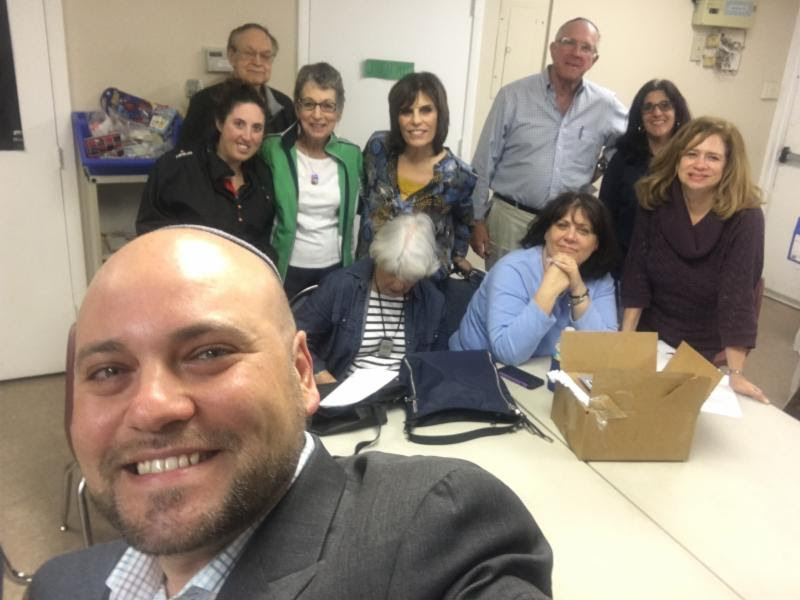 held our first Sunshine Team meeting - a new team of people at Shaarei Kodesh that will focus on acts of loving kindness within the CSK community, including, bikkur holim/visiting the sick; visiting the home bound; cooking and delivering food for our community members who need help that week due to a sickness, death, or a simcha like the birth of a child; and more. Our next meeting will occur on Tuesday, January 24 at 6:00 pm. We will begin with studying the origins of Bikkur Holim as a Mitzvah and then move on to prepare us for action as we learn the practicals of how to perform a sick visit. The team is open to all, so please consider joining us for our next meeting! The next day, we held our final Adult Bnai Mitzvah class. our community members, Susan Berkowitz, Tracy Elias, and Susan and Louis Witonsky, for their hard work and dedication. The process of that has led them up to leading parts of the Shabbat service this week, including read the Haftarah, began a year ago with our beloved teacher, Irv Pomeranz z'l. 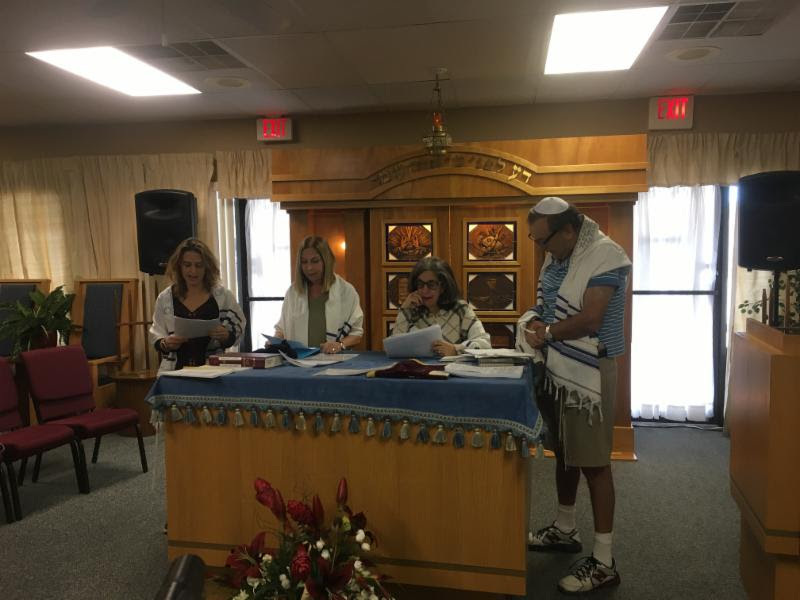 Irv taught this group beginners Hebrew, and he continued to teach them how to bring their newfound knowledge of Hebrew to the community through their adult Bnai Mitzvah ceremony. Unfortunately, Irv passed just after Sukkot, but his presence has been with us at every class, and he will certainly be with us this this Shabbat as his students put their studies into action. It was truly an honor teaching our adult bnai mitzvah class over the last couple of months. Please join us this Shabbat to honor our adult Bnai Mitzvah students and mazal tov to the Berkowitz, Elias, and Witonsky families! Lewis Davis Religious school, our Bnai Mitzvah families, and others joined Christians, Muslims, and Jews at Abraham's Tent, an event presented by the Boca Raton Interfaith Clergy Association (of which I am an active member). Together, we lived out the mitzvah of Feeding the Hungry (which is part of our religious school curriculum) as we created nutritious meals for thousands of food insecure people in Haiti. 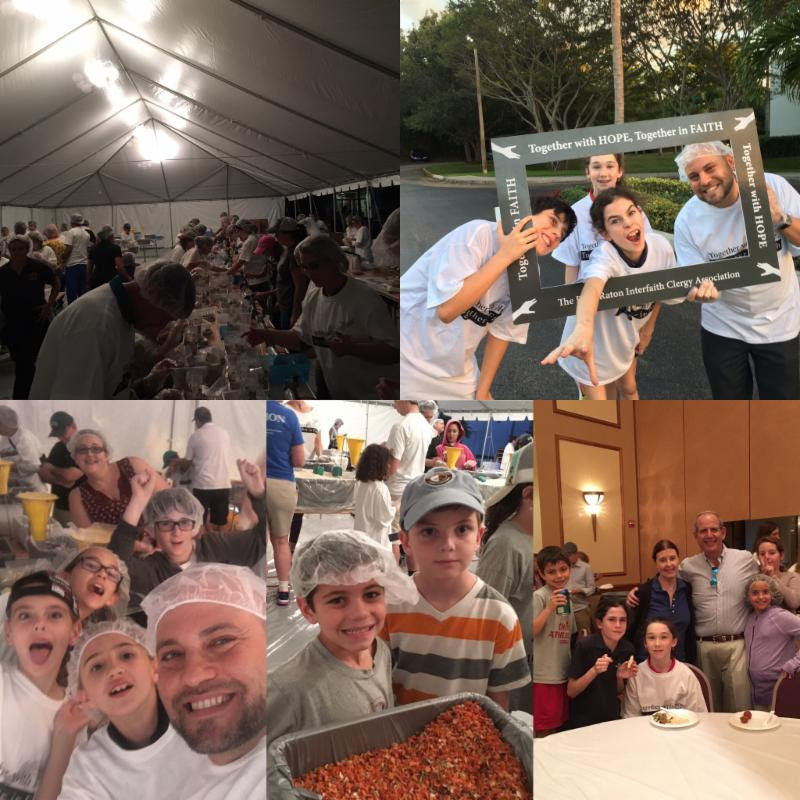 Thank you to our many congregants who took part in this special mitzvah opportunity! This week at Shaarei Kodesh, we brought the teachings of our tradition to life. I look forward to our praying with our legs as we journey together on a path to holiness.